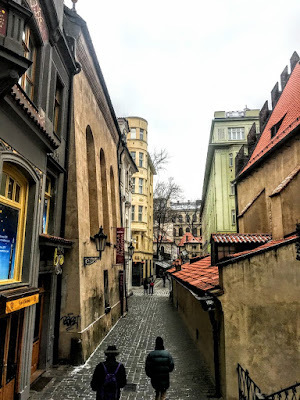 During my visit to Prague last week, I visited about half-a-dozen or so of the surviving synagogues in Josefov, the Jewish Quarter in the Old Town in the Czech capital. Despite World War II, most of the significant historical Jewish buildings in Prague were saved from destruction, and they form the best-preserved complex of historical Jewish monuments in the whole of Europe. The Jewish Quarter has six synagogues, as well as the Jewish Ceremonial Hall and the Old Jewish Cemetery. 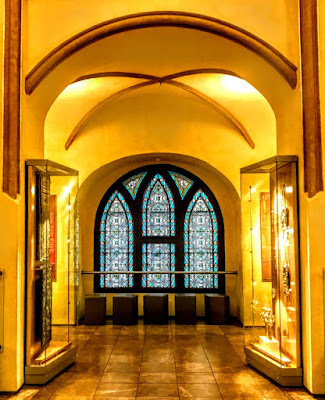 The 16th-century Maisel Synagogue on Maiselova Street has survived fires, the Nazi occupation of the Czech lands, the Holocaust and post-war neglect, and is now a modern museum. The Maisel Synagogue was built at the end of the 16th century, which is seen as the golden age of the ghetto in Prague. Since then, its appearance has changed several times and its appearance today is neo-gothic in style. The synagogue was built in 1590-1592 on the initiative of the Mayor of the Jewish town, Mordechai Maisel (1528-1601), the renowned businessman and benefactor of the ghetto. He acquired the site in 1590, and a year later the Emperor Rudolf II granted him permission to build his own synagogue. Maisel’s important position at the emperor’s court probably helped him to gain this imperial permission. The Maisel Synagogue was designed by the architect Judah Tzoref de Herz and built in the Renaissance style by Josef Wahl in 1592. It was consecrated on Simchat Torah, 29 September 1592, and over the next century it became the largest and most impressive building in the ghetto. Mordechai Maisel left the synagogue to Prague’s Jewish community in his will. But after his death in 1601 all his possessions, including the synagogue, were confiscated, despite an imperial privilege allowing him to make bequests in his will. His wishes were only fulfilled after a number of court cases that lasted several decades. The Maisel Synagogue was severely damaged in the great fire in 1689 that destroyed much of the ghetto. It was rebuilt hurriedly, and as a consequence lost one third of its length. 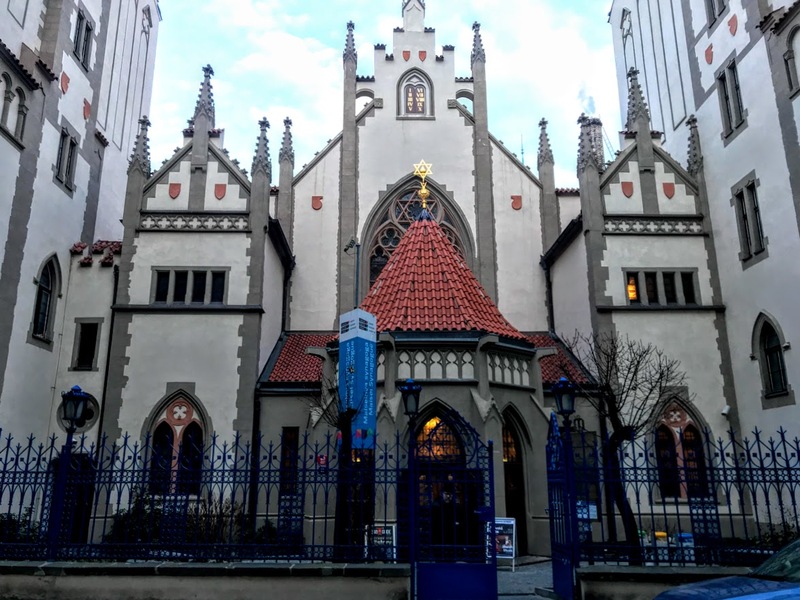 The synagogue was rebuilt in 1862-1864 to plans by the architect JW Wertmüller, and again in 1892-1907, at a time when all the Jewish Quarter went through a major urban renewal according to the design of the architects Alfred Grotte and Emil Kralicek. The synagogue acquired two narrow side wings and its neo-Gothic portico extension, with a central layout and three entrances with pointed vaults. The main nave of the synagogue and all the interior details, including the Aron-ha-Kodesh or holy ark holding the Torah scrolls, were redesigned in neo-Gothic style too. However, the south side façade, part of the aisles and the women’s galleries on the ground floor and first floor were untouched in these adaptations. During the Nazi occupation of the Czech lands, possessions confiscated from members of the Czech Jewish communities were stored in Maisel Synagogue. After the World War II, the synagogue became a depository of the Jewish Museum in Prague. It was restored in the 1960s, and an exhibition of silver Judaica was located there from 1965 to 1988. The synagogue was forced to close because conditions could not be improved due to financial problems. However, the ‘Velvet Revolution’ made the restoration possible. The synagogue underwent total restoration in 1994-1995 and was opened to the public in 1996. 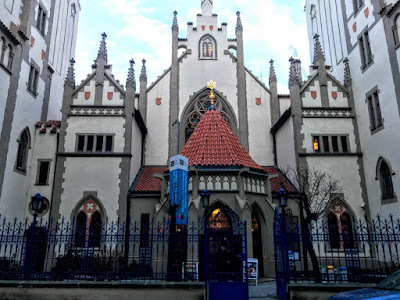 The Maisel Synagogue was restored once again in 2014-2015. It belongs to the Jewish Community of Prague and is administered by the Jewish Museum in Prague as a part of its exhibitions. Today it houses an exhibition, ‘Jews in the Bohemian Lands, 10th to 18th Century.’ The exhibits include the tombstone of Avigdor Kara, a rabbinical judge who died in 1439. This was the oldest tombstone in the Old Jewish Cemetery in Prague. Avigdor Kara was the author of the elegy Et Kol ha-Tela’ah, ‘All the Adversities,’ that tells of the Prague pogrom in 1389. It is still recited on Yom Kippur in the Old-New Synagogue. The synagogue also serves as a venue for cultural events, including concerts, readings and one-man theatre. The High Synagogue, dating from the 16th century synagogue, was financed by Mordechai Maisel, and was finished in 1568, the same year as the Jewish Town Hall. It was probably named the High Synagogue because the house of prayer was located on the first floor rather than the ground floor of the building. This synagogue was probably modelled after the High Synagogue in Kraków, which was built in 1556. The house was designed in the Renaissance style by the architect Pancratius Roder, and the supervising builder was a master named Rada. It was designed as a preaching place for councillors of Jewish Town Hall. 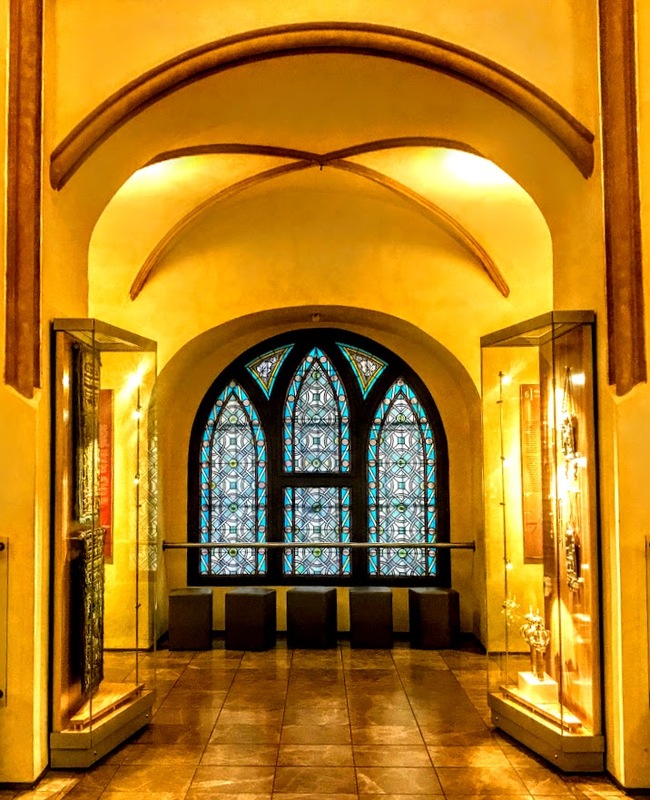 Originally, it was accessible only from the first floor of the Jewish town hall and served for assemblies of the senior members of the ghetto, the religious community and perhaps sittings of the rabbinical courts. The bimah in the centre was surrounded by seats, the stucco ceiling had Gothic ribbed vaulting and Mordechai Maisel donated Torah scrolls and silver tools to the synagogue. However, the original synagogue was destroyed in the great fire of Prague in 1689. It was rebuilt in 1690 to designs by the architect Pavel Ignác Bayer, who also designed the women’s gallery. The Aron-ha-kodesh or holy ark, where the Torah scrolls are kept, was adapted in 1691 in the style of contemporary Baroque altars. The burned roof trusses were repaired after another fire in 1754. The synagogue was rebuilt by JM Wertmüller in 1883, when the façade was simplified and given a modern appearance. When the streets of the Old Jewish Town were being cleared and rebuilt in the early 20th century, the eastern front of the High Synagogue was covered up, a new entrance was made from Red Lane (Červená ulice), and the whole synagogue was overshadowed by the large corner house with towers between Maiselova Street and Paris Street. Only the north front of the synagogue, facing Červená Lane remained open. This house was designed by the architects Richard Klenka of Vlastimil and Frantisek Weyr, and it is often seen as part of the High Synagogue. Other adaptations of the High Synagogue were made in the 1960s and the 1970s. A permanent exhibition of synagogue textiles from the Jewish Museum collection was installed here in 1982. 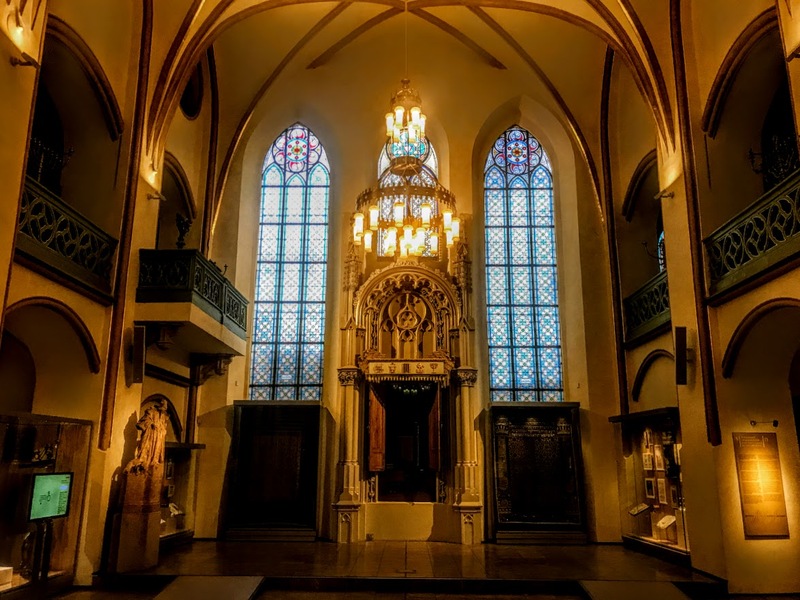 The High Synagogue was returned to the Prague Jewish Community in 1994, and it was restored and refurnished as a house of prayer in 1995. 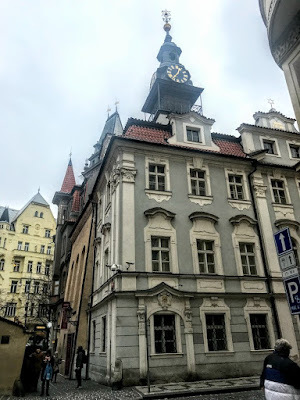 The Jewish Town Hall was built beside the Old New Synagogue on the corner of Maiselova Street and Červená Ulice, and was the main meeting house of the local Jewish community. The first references to the Jewish town hall date from 1541. After a fire it was rebuilt in 1577-1586 in the Renaissance style, with funding from the Mayor of the Jewish town, Mordechai Maisel. It acquired its rococo façade in the 18th century. 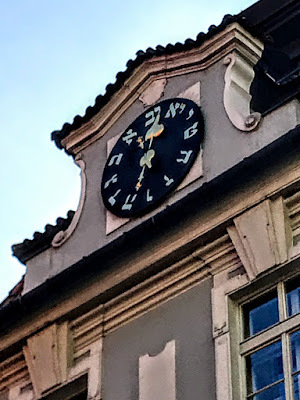 The building is best known for its two clocks, one on a tower with Roman numeral markings, the other, lower clock has Hebrew numerals in the letters of the Hebrew alphabet, beginning with aleph and continuing counter-clockwise around the clock dial. Today, this building is the centre of the Jewish Community of Prague and the Federation of Jewish Communities in the Czech Republic, and the seat of the Chief Rabbinate of Prague and the Czech Republic. However, the building is closed to the public.